All criminal behavior imposes direct costs to the victim and indirect costs to society at large. Some secondary impacts are harder than others to verify, however, in particular the wider economic effects that can ripple outward after a crime. 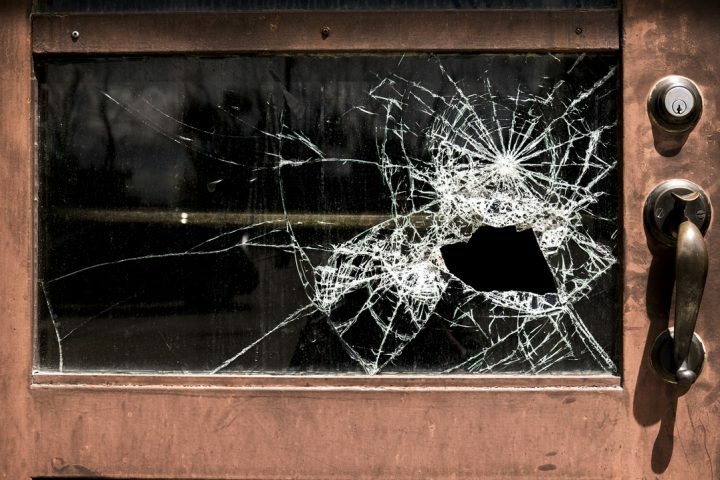 Residents can avoid dangerous neighborhoods, go outside less or move elsewhere, but research has shown that criminal activity can shift between neighborhoods in ways that resemble infectious diseases. Surveillance systems have been shown to reduce crime, but only in certain contexts, and questions of whether they merely displace crime require more study. The size of the potential effects of crime on property values is explored in a 2012 report by the Center for American Progress. It looked at the direct and indirect costs of homicide in eight U.S. metropolitan areas: Seattle, Milwaukee, Houston, Dallas, Boston, Philadelphia, Chicago and Jacksonville. The direct annual costs of violent crime in the eight cities totaled $3.7 billion per year, an average of $320 per person per year. The impact on property values was also substantial, and the study indicates that a 10% reduction in homicides would lead to a 0.83% increase in housing values the following year. These associations may of course vary in different socio-economic localities, and be region- or country-specific. A 2012 report by the Federal Reserve Bank of New York, “Crime, House Prices, and Inequality,” looks at how the issue plays out in Latin America. The authors found that a decrease of crime generated by heightened policing in Rio de Janeiro contributed to a fall in crime and a rise in property values: Homicides dropped 10% to 25% and robberies 10% and 20%, while the selling price of the properties increased between 5% and 10% — and was proportionally higher in low-income neighborhoods. In addition, the study found significant evidence to state that from 2008 to mid-2011, increased policing generated a 15% increase in formal property transactions. Below is a selection of recent studies relating to crime and property values, both in the United States and internationally. Boggessa, Lyndsay N.; Greenbaumb, Robert T.; Titac, George E. Journal of Crime and Justice, 2013, Vol. 36, Issue 3. Ihlanfeldt, Keith; Mayock, Tom. Regional Science and Urban Economics, Volume 40, Issues 2–3, May 2010, pp. 161–172. Tita, George E.; Petras, Tricia L.; Greenbaum, Robert T. Journal of Quantitative Criminology, December 2006, Volume 22, Issue 4, pp. 299-317. Buonanno, Paolo; Montolio, Daniel; Raya-Vílchez, Josep Maria. Empirical Economics, August 2013, Vol. 45, Issue 1, 305-321. Vetter, David Michael; Beltrao, Kaizo I.; Massena, Rosa. Inter-American Development Bank, June 2013. Braakmann, Nils. Newcastle University, 2012. Ceccato, Vânia; Wilhelmsson, Mats. Human Geography, March 2011, Vol. 93, Issue 1, 81-103. doi: 10.1111/j.1468-0467.2011.00362.x. Wentland, Scott; Waller Jr., Bennie D.; Brastow, Raymond T. Real Estate Economics, 2012. Pope, Jaren C. Journal of Urban Economics, November 2008, Vol. 64, Issue 3, 601-614. doi: 10.1016/j.jue.2008.07.001. Troy, Austin; Grove, J. Morgan. Landscaping and Urban Planning, August 2008, 233-245.